I know I wrote up a little about how much I'm enjoying Sam's music in a recent blog post but I've since written an 'Introducing' article I think should be shared. If you've not yet checked out what this hugely talented guy has to offer then quick, get to it before Valerie the banjo playing badger hunts you down and does unspeakable torturous things to you. 'What kinds of torturous things?' You may well ask but then they'd be speakable as opposed to unspeakable as I made clear. Now go! Get to Sam's website before it's too late! I’ll start this off with a relatively simple but much deserved WOW! It’s amazing just to contemplate the sheer amount of talent Sam Beeton exudes as he goes about everything he’s currently doing. A 23 year old singer-songwriter from Nottingham he’s demonstrated musical and lyrical abilities that have been nothing less than phenomenal. This is no run of the mill singer-songwriter either and the originality stretches far beyond the music. Wanting to offer dedicated fans something different he set up The Record Club. This is a unique concept putting him, as an independent artist, in direct contact with subscribers. Receiving a new signed and personalised CD every month gives the feeling these varied and dynamic songs are being written and recorded just for you. Following the success of Season 1 last year Sam recently kicked off Season 2 in April but there is no cut off point for joining. It doesn’t matter at what point throughout the year it is you will receive all of the songs already released in that season so far. Volume 1 of Season 2 arrived a few weeks ago with the two gorgeous sounding tracks, Call Me the Loner and Something Out of Nothing. The former starts with a gentle guitar strum before more sounds enter the mix and Sam’s soft and delicate vocal begins lamenting about his need to be alone. All this to a melody that hooks itself somewhere deep inside your mind where it rests snugly waiting to play itself back to you afterwards. Being a tune that is more likely to nudge awake your legs and shoulders, encouraging them into a little jig, the latter perfectly showcases the flexibility to his already very proficient style. Something I'm finding so inspiring is the versatility he demonstrates in the songs I've heard so far. Hearing just the first couple of samples is enough to sell the deluxe double CD of the complete season 1 for all those who missed out on subscribing to it last year. Featuring 22 astounding tracks including the beautifully cryptic Storyteller, which was released as a single via iTunes on 26th March, this track alone further exhibits the diversity of his skills as a songwriter. And this is before even considering the likes of Good Natured Child and Rain Down On You which just blew me clean away. Citing influences including Jeff Buckley and Paul Simon together with the likes of James Morrison, Paolo Nutini and Benjamin Francis Leftwich I would go so far as to say he actually beats most of these and at the very least isn’t too far off meeting the legend of Paul Simon. The great thing about his already prolific output is that while yes at times with songs like Rain Down on You and Good Natured Child, he may sound similar to a younger Paul Simon, his vocals still have a very distinct and original sound all of their own. The songs offered are also so varied revealing this is no one trick pony. They echo a confidence to his performance that belies his young age. Hearing lyrics that require some deeper thought if the listener is to prize them apart and truly get what they’re about is a refreshing change. Sam is a rare talent indeed and one the music industry needs very badly if it is to retain any credibility in the face of the manufactured reality television pop world. 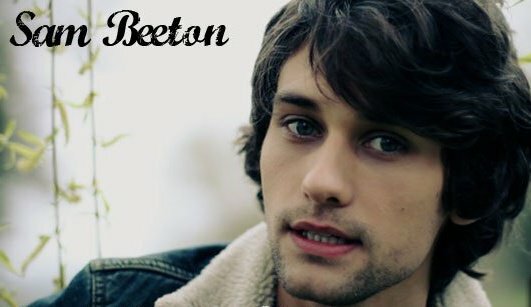 Check out www.sambeeton.com for lots more information about this wonderful artist. Come with me on this wonderful journey through time & space..oh I already did that bit didn't I? (see first post) Okay well just read on because if you don't how will you ever know you didn't miss something vitally important for your continued existence. Expect temporal anomalies, spacial distortions & don't be alarmed if you see a badger playing banjo. That'll just be Valerie, the wisest badger in the west who can find solutions to almost any problem. He will then sing the solution to you whilst playing out a tune on his banjo. Just be grateful you're not seeing an elephant ski & if you are then..well...who knows what was in that drink you were given at lunchtime?